Everyone remembers this inspiring picture from their childhood days, and we're pleased to offer it in both prints and greeting cards. We do not know the artist's name on this - for sure. 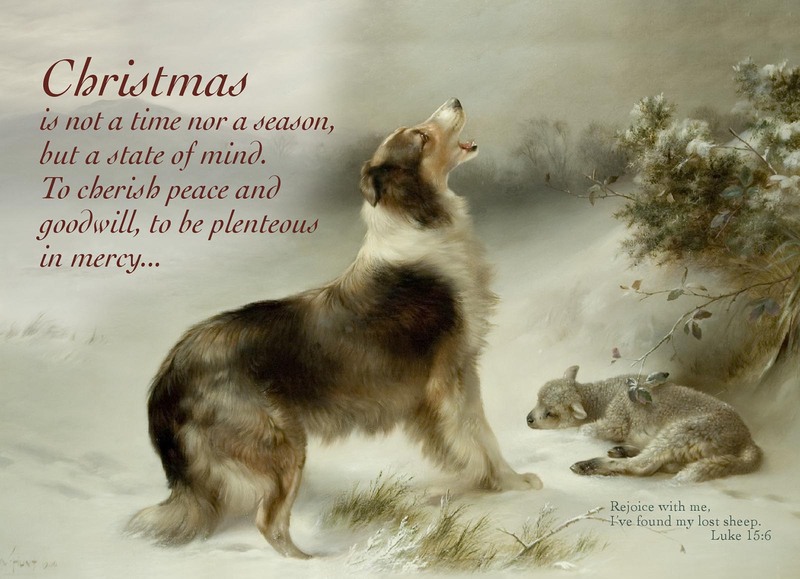 Some attribute the work to Albrecht Schenck, other art historians think it's likely by Walter Hunt - (entitled "Shepherd's Call"); Hunt was known for his beautiful paintings of Collies. There is an extensive, well-researched article with a lot of good pictures here. Gina's note: This picture has been around for a long time, and is a perennial favorite. We've had many, many customers tell us they have fond memories of this picture hanging in their parents, and grandparents homes. It's even visible in the background of this Keith Urban country music video! Click here to watch.